Francesco Galante leads the Libera Terra, a cooperative of farmers and producers who create food and jobs outside of the Mafia's control. 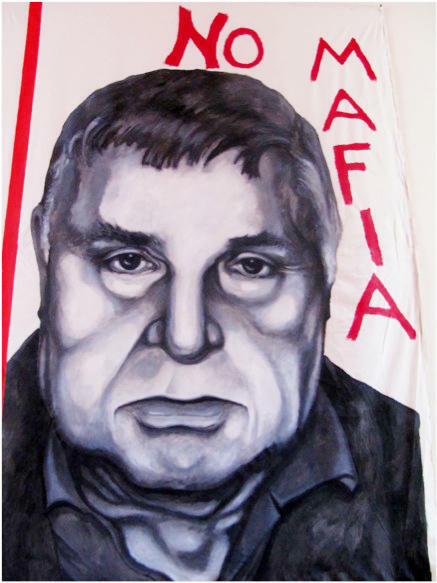 A painting of Mafia boss Salvatore Riina, on display at the Museo Anti-Mafia in Corleone, Sicily. The Addiopizzo sticker on the door of a restaurant or hotel in Sicily tells you the establishment does not pay extortion money to the Mafia. In recent years, the effort to bring the Mafia under control in Sicily has spilled over into the world of food. Today a movement of small organic agricultural cooperatives has sprung up across the island to farm land once confiscated by the Mafia and bring these goods to a global market. Libera Terra means free land, or land free from Mafia. A cooperative of farmers and other producers working under this banner creates organic olive oil, wine, pasta, grains and more and provides Mafia-free jobs in a country with staggering unemployment, deep-seated corruption and a rich kitchen tradition. "It's very difficult to buy something to eat here in Sicily and be sure that it has nothing to do with the Mafia," says Gabrielle Mastrilli. "When you eat food with the Libera Terra label, you are sure that the product and the worker, they don't have anything to do with the Mafia." Mastrilli is a photographer and writer who, like so many of the young people of the island, had left to find work, specifically Mafia-free work. His family has a long history in organizing Sicilian agriculture against the Mafia's stronghold on wages, working conditions and employment in the fields. With the birth of Libera Terra, Gabriele has recently returned to the island to promote the cooperatives. "A lot of people who have been fighting for agricultural reform across the decades were killed by the Mafia. One of them was my grandfather," he says. Don Luigi Ciotti is another reformer and one of the founders of Libera Terra. Ciotti, an Italian priest, saw the grip the Mafia had on his country — the drug operations, the prostitution rings, the hold on the most fertile of agricultural lands — and began to organize a movement to fight back through education, employment and agriculture. "What we grow from these lands can now be found in Italian markets," says Don Ciotti. "Pasta, olive oil [and] mozzarella di bufala, created from dairy businesses that were confiscated from the Mafia." "The Mafia is like a snake. It's very difficult to catch," says Mastrilli, as he drives us to the town of Cinisi about 45 minutes from Palermo, to the former home of Peppino Impastato, an anti-Mafia activist whose murder has been attributed to the local Mafia. "The Mafia built the airport here to control the drug traffic between Palermo and the United States. It was called 'The Pizza Connection,'" says Mastrilli, "because they used to transport the heroin inside tomato cans to the be used in the United States in pizzerias." European narcotic distribution was once centered in Marseilles, with French chemists transforming morphine base into heroin, and shipping it from there. The operation was known as "The French Connection" until the early 1970s. After that, the Italian Mafia took over, explains Peter Schneider, a retired professor of sociology and anthropology at Fordham University. Schneider and his wife Jane have studied the Mafia and community in Sicily for decades. "Heroin traveled from Palermo to the United States in all sorts of containers — in oranges, in cans of tuna, in diplomatic pouches, even under the gowns of nuns who were coming to collect money for their orphanages in Sicily. And some came in the cans of San Marzano tomatoes," says Schneider. Francesco Galante — lanky, soft-spoken, intense — is the spokesman and leader of the Libera Terra. He picks up the thread as he drives up the steep roads an hour or so from Palermo to the cooperative's vineyards that stretch up the windswept mountainside near San Giuseppe Jato. They are some of the most fertile, beautiful fields, and were once the property of Bernardo Brusca, the boss of San Guiseppe Jato until he was jailed in the 1980s. Now they are home to a thriving organic vineyard. "To be organic was a form of respect. The idea is being kind to the soil itself: to start anew, to take poisons symbolic and real poisons from the soil itself," says Galante. Galante says that Libera Terra wants to make products people buy not just for their story but for their quality. They want to provide workers with fair wages and respect, improve the high unemployment rate in Sicily (especially among youth) and undo decades of systemic corruption. "In our wine you can smell the sea and the mountains," says Angelo Sciortino, farmer and winemaker for the Placido Rizotto Cooperative, where 40 people now work in the winery and vineyards. "We don't use a lot of machines in our production. We try to use as many people as possible. We still use the hands. Our goal is to give work." Ten years ago when the Placido Rizotto Agricultural Cooperative started, few people wanted to work for them because they were scared. "The Mafia, they burned the field here just before the harvesting of the grain," says Angelo. "Three years ago when we collected olives for the first time, we had police around us all the time, [for protection] with guns. Then last year the Mafia burned our olive trees. We don't want to want guns. We don't want police. We have to show to the people that to work with Libera [Terra], it's a good thing." As challenging as it has been to go up against the Mafia in the agricultural system, there's something else Sicilians are fighting: the practice of businesses paying pizzo for protection. "In Palermo, currently 70 to 80 percent of shopkeepers pay a form of extortion, they pay for protection, they pay the pizzo," says Libera Terra leader Galante. 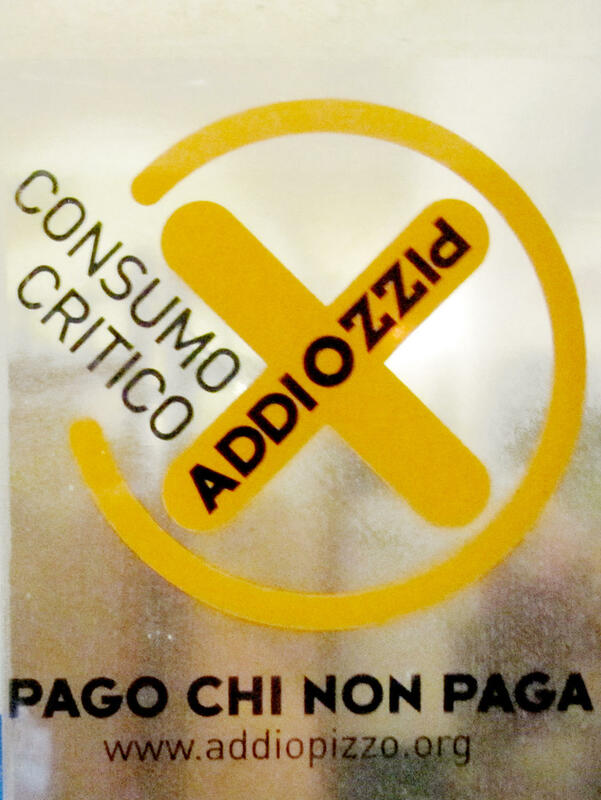 "The idea of the Addiopizzo movement is to say 'no' to the pizzo. Farewell pizzo." The anti-pizzo movement began in 2004 when a group of anti-Mafia student activists decided to open a café in Palermo and began questioning what they would do if the Mafia came around, asking for pizzo. They began printing out little stickers that they put on lampposts and store windows and curbstones all over the city. All of a sudden hundreds of these stickers appeared throughout Palermo and nobody knew where they came from. The stickers read: "The people who pay the pizzo are a people without dignity." Today the Addiopizzo symbol is on the doors of businesses throughout Sicily and you can chose to go to a restaurant or hotel and do business with businesses not involved in the Mafia. In Corleone, the small town immortalized in the film The Godfather, Walter Bonano is a guide at the Museum of the Anti-Mafia. "'Talk about the Mafia, no matter how,' " he says quoting Paolo Borsellino, a famous judge killed by the Mafia in 1992. "If I talk about Mafia I don't forget Mafia. And if I don't forget Mafia, it's very hard for me to commit the same mistakes." The young, red-headed tour guide points to a photograph of the last of the godfathers, Bernardo Provenzano, from Corleone. His former house is a now a shop where they sell tomatoes from the fields he once confiscated. "It is a symbolic thing," says Bonano. "We are taking back what they stole." For Libera Terra, each of the organic, pizzo-free products they sell in grocery stores throughout Sicily is a reminder. They have a wine called Centopassi dedicated to Peppino Impastato. They have another wine called Placido Rizotto, named for a peasant and trade union leader in Corleone assassinated by Mafia bosses in 1948. "When you drink the wine," says Bonano, "it's a way to remember the work of these young heroes killed by the Mafia. It's a very symbolic thing. Maybe from an economic point of view Libera Terra is not a big business, but I like the symbolism of it. " MONTAGNE: Today, we begin a new series, a season of Hidden Kitchens. It explores little known kitchen rituals and traditions. Each Tuesday for the next couple of months, we'll travel the world to see how communities come together through food. INSKEEP: Hidden Kitchens comes to us from our friends the Kitchen Sisters, Nikki Silva and Davia Nelson. And today, they take us to Sicily where the fight against Mafia crime syndicates has rippled into the world of food. MONTAGNE: Lands seized from the Mafia are now being farmed by small agricultural cooperatives. They work under the name Libera Terra and aim to provide Mafia-free employment for Sicilians and organic products for a global market. The Kitchen Sisters call the story "The Pizza Connection." WALTER BONANO: My name is Walter Bonano. I'll be the guide during this tour. Follow me. BONANO: This is Museum of the Anti-Mafia in Sicily and my job starts from the sentence by a famous judge killed by Mafia in 1992, Paolo Borsellino. He used to say: Talk about Mafia no matter how; if I talk about Mafia, I don't forget Mafia. BONANO: Come closer, over there on the left, the last of the godfathers, Bernardo Provenzano. If you go to his former house, now that house is a shop in which they sell tomatoes from his confiscated fields. It's a symbolic thing. We are taking back what they stole. GABRIELLE MASTRILLI: This sign here: (Foreign language spoken) that means Property Confiscated from the Mafia. My name is Gabrielle Mastrilli. I work for Libera Terra in Sicily. Libera Terra produce good organic food in the lands that was of the Mafia. A lot of people fighting for agriculture reform was killed by the Mafia, and one of these was my grandfather. DON LUIGI CIOTTI: (Through Translator) My name is Don Luigi Ciotti. I am a priest. After the terrorism in Italy, with the death of judges Falcone and Borsellino, we started Libera Terra. Libera is getting this land and give them to young farmers that work in cooperative way. What we grow from this land can now be found in Italian supermarkets - pasta, olive oil, and mozzarella is organic produce is a slap in the face of Mafia bosses. It's the victory over crime. 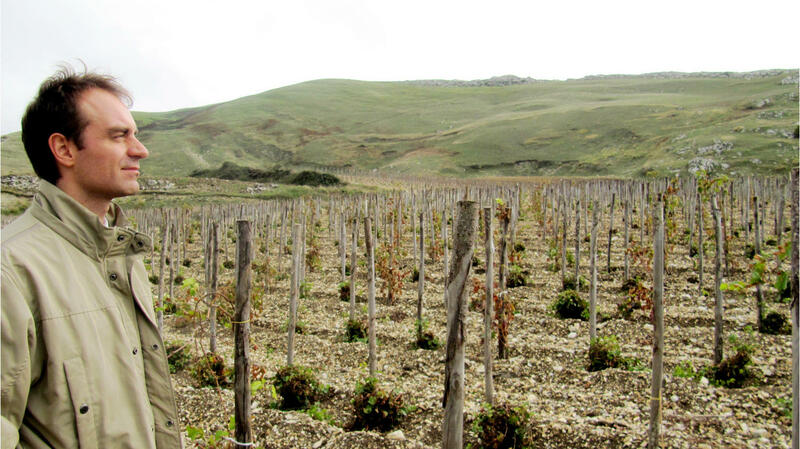 FRANCESCO GALANTE: We are getting up to the vineyards. This is all part of the confiscated property. I'm Francesco Galante, Libera Terra project. There are 40 people in the winery and in the vineyards. We are organic certified. To be organic was form of respect, to start anew, the idea of being kind to the soil itself; to take poisons - symbolic and the real from the soils. ANGELO SCIOTINO: (Through Translator) In our wine, you can smell the sea and the mountains. My name is Angelo Sciortino and I am responsible of this field where there are grapes. We don't use a lot of machine in our production. We try to use as many people as possible. We still use the hands. Our goal is to give work. SCIOTINO: (Through Translator) Ten years ago, when the Placido Rizotto Cooperative is started in this territory, nobody wants to come here to work. They were scared. The Mafia, they burned the field here just before the harvesting of the grain. Three years ago, when we collect olives for the first time, we had police around us all the time - yeah, with guns. The last year, Mafia burned the olive trees. They went there and they burned each one. (Through Translator) It's a sign. It means that the Mafia are still there. And if they can burn a tree, maybe they can also kill you if they want. We don't want to go to the fields with police. It's a wrong message. We have to show to the people that to work with Libera, it's a good thing. MASTRILLI: Mafia is like a snake. It's very difficult to catch. Mafia here in this area near Cinisi was really powerful and they decide to build the airport here to control the drug traffic between Palermo and the United States. It was called the Pizza Connection, because they used to transport the drug, the heroin inside the tomato can to the United States for the pizzeria. TOM BROKAW: The Pizza Connection. Recently, the CIA rounded up a number of people and charged him with being part of an elaborate heroin distribution network in America. Small-town pizza parlors were their cover. PETER SCHNEIDER: In the early '70s, narcotic distribution was taken over by the Mafiosi, so what had been the French Connection out of Marseilles became the Pizza Connection out of Palermo. I'm Peter Schneider, Sociology and Anthropology professor at Fordham University. Heroin traveled from Palermo in all sorts of containers - in oranges, in cans of tuna, in diplomatic pouches, under the gowns of nuns who were coming to collect money for their orphanages in Sicily. And, yes, some came in the cans of San Marzano tomatoes that were being sent to make pizzas. GALANTE: From an economic point of view, we are a very poor land because of Mafia. And youth unemployment 50 percent. Everybody goes to other countries. No factory, no industries willing to invest their money in a land full of Mafia because you have to pay an extra tax, the one called pizzo. They pay protection. In Palermo, currently 70 to 80 percent of shopkeepers pay a form of extortion, they pay the pizzo. And the idea of Addiopizzo is to say no to the pizzo. Farewell pizzo. SCHNEIDER: A half-dozen students, very active in the anti-Mafia movement who are planning to open a cafe in Palermo. And one of them said, suppose they come and what the pizzo? Why should anyone have to pay the pizzo. And they began printing of the little stickers that they put on light posts and store windows all over the city. All of a sudden these stickers appeared and no one knew where they came from. VALERIA DONTANIO: (Through Translator) My name is Valeria Dontanio(ph). I am a lawyer. I am a member of the Addiopizzzo Committee. Tonight of the 28th of August, 2004, we've covered the city with these stickers. It seemed as though we came out of nothing. But in 1992, many of us were in school and there were these massacres of Falcone and Borsellino. They became part of us. We smelled the terror and death of those years. SCHNEIDER: The Libera Cooperatives who are producing good wine, good grains, good olives were making a point of saying this food is pizzo free. GABRIELLE MASTRILLI, LIBERA TERRA COOPERATIVES: It's very, very difficult to buy something to eat and be sure that there is nothing to do with the Mafia. When you eat food with the Libera Terra label, you are sure that product and the worker, they don't have nothing to do with the Mafia. BONANO: Libera Terra, they have a wine called Centopassi. They have another wine called Placido Rizotto. When you drink the wine, it's a way to remember the work of these young heroes killed by Mafia. So it's a very symbolic thing. Maybe from an economic point of view it's not a big business, but I like the symbolism of it. MONTAGNE: The Pizza Connection was produced by the Kitchen Sisters and Marie Doezema. It was mixed by Jim McKee. You can learn more about Libera Terra at npr.org. 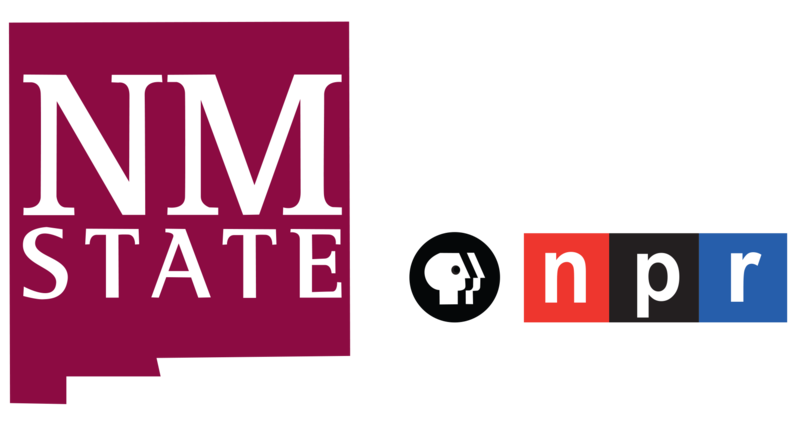 MONTAGNE: From NPR News. Transcript provided by NPR, Copyright NPR.